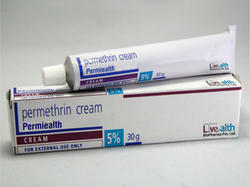 Our range of products include permethrin cream 5% and permethrin creme rinse 1%. 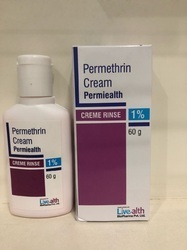 Permiealth (permethrin) 5% Cream topical (for the skin) is an anti-parasite medication used to treat head lice and scabies. ... skin irritation, including itching, swelling, and redness, with scabies and may temporarily worsen after treatment. Packaging Details: 60 g Creme Rinse in a plastic bottle in a printed carton.